An homage to old kaiju (Japanese Giant Monster) movies, and also a satire to romantic stories. 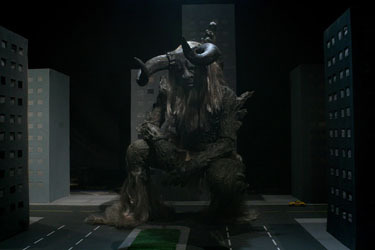 Vorgon is a poor guy that lost his girlfriend, and he happens to be a 40 feet tall monster. 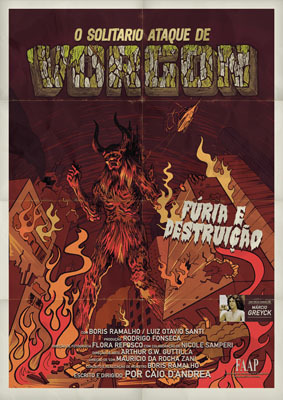 Synopsis: A headline reads "Vorgon and Vorga level city during fight!". And the picture shows two gigantic monsters fighting each other. At night, Vorgon strikes again. One last lonesome raid.